Both Marvel and DC have some pretty huge films coming up in the next couple of years, so it makes sense that Comic-Con played host to some superheroes this year – or at least the actors and actresses behind the roles. 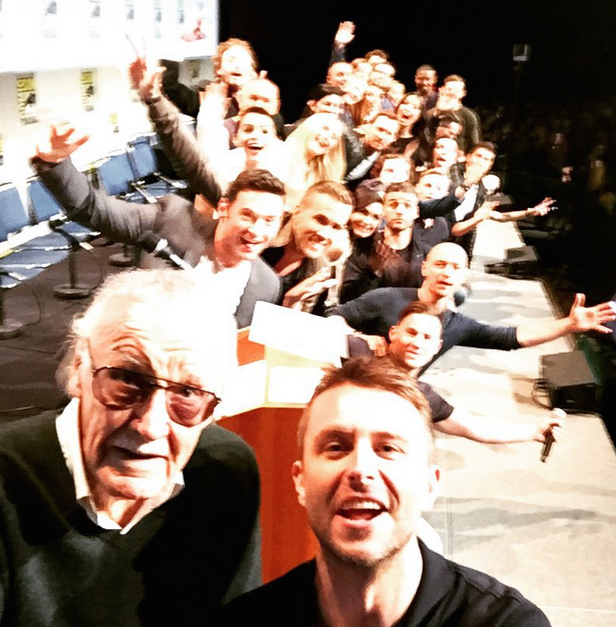 Casts from X-Men, Fantastic Four, Deadpool, Arrow and Wolverine were all at the convention and came together for one hell of an amazing selfie at the end of the 20th Century Fox panel. The picture contained stars like Hugh Jackman, Jennifer Lawrence and Ryan Reynolds – and even had a special appearance from Channing Tatum, who will star as Gambit in the highly anticipated standalone X-Men film in 2016. I mean this HAS to be some kind of damn record. Most superheroes on one selfie? Casts of Wolverine, X-Men, Deadpool and Fantastic Four PLUS the Generalissimo!!! Ellen DeGeneres’ Oscars selfie eat your heart out.